What is an invoice? An invoice is a form of receipt that is commonly used by companies when issuing a request for materials, items, and services. 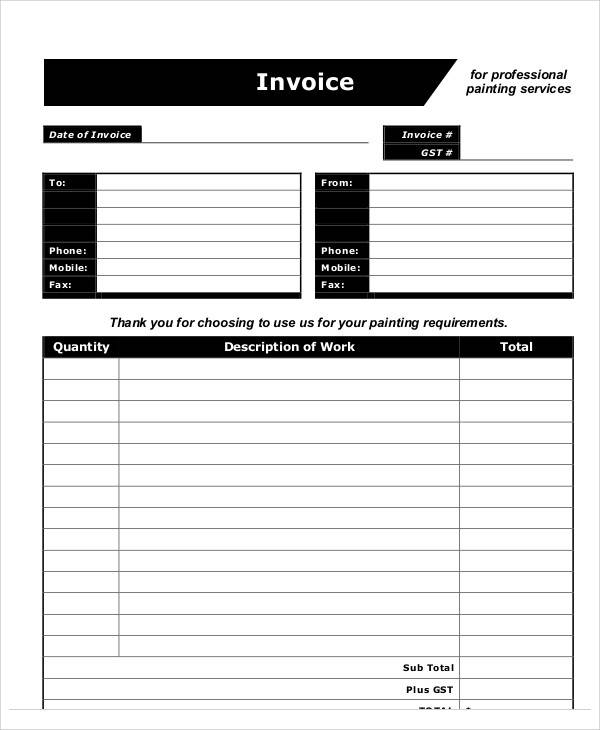 One type of invoice is a painting invoice. 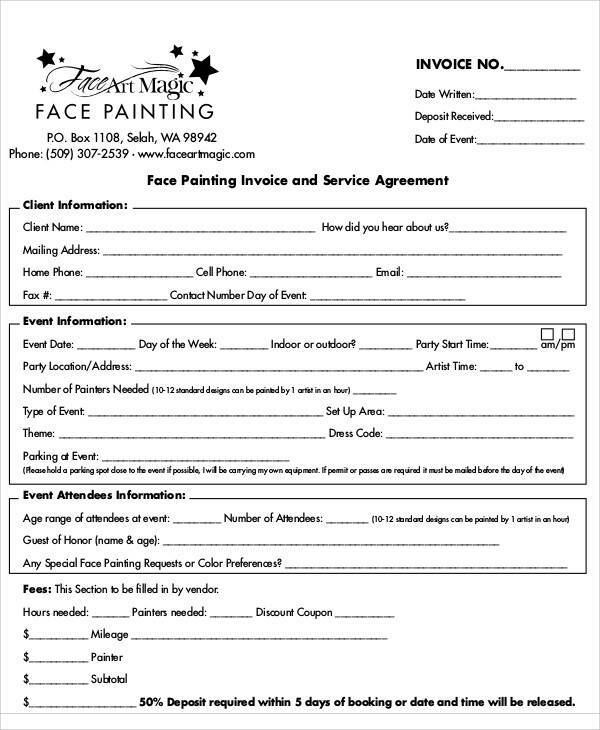 A painting invoice is basically a receipt for the service of painting a certain task. This type of invoice is usually used as a means of cataloging the materials used during the painting of an object. 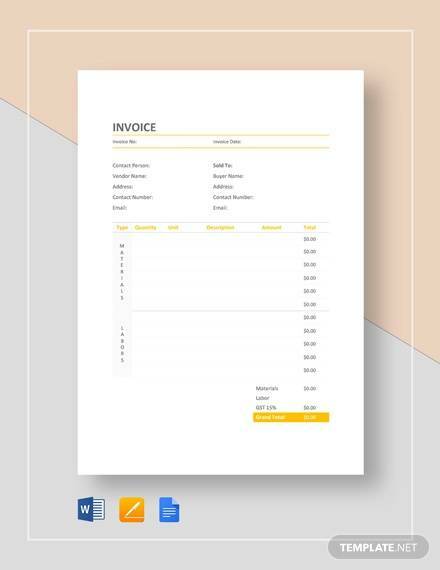 An invoice may sound similar to a receipt, however, they have several differences such as the method of payment and its format and function. If they are so different and one of the two is specialized for something else, then why is there the issue of invoice vs receipt among businesses? This is due to not understanding their functions properly. Writing an invoice is quite easy, whether it is a painting invoice or a construction invoice or even a plumbing invoice, they all follow the exact same format of a basic invoice. 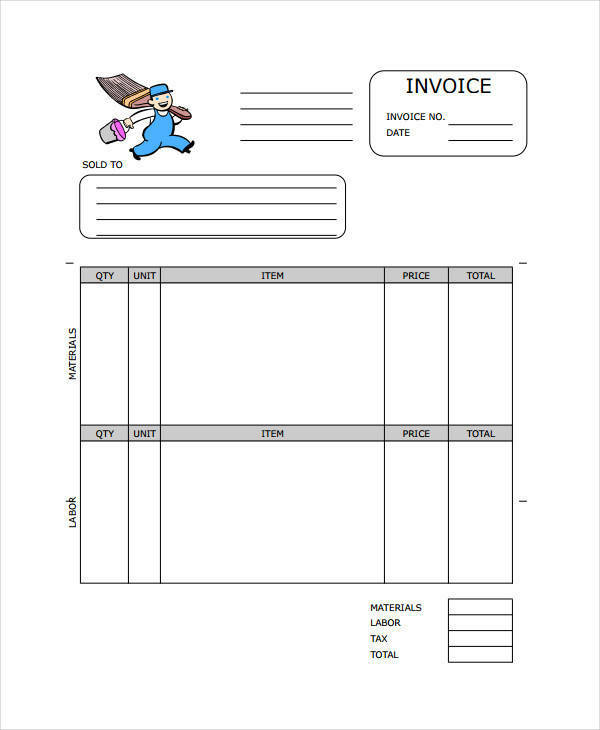 Let’s teach you how to make your own painting invoice. Start with writing the title of your invoice. This is done by adding the name of the company followed by the word invoice, followed by the logo of your business. Below that line indicates information about your business, such as the address and contact details. Followed by writing the invoice number (note: each invoice should have a specific and unique number to prevent a mix-up in orders). Create a table for the input of the customer’s information: customer’s name, address, contacts, and even their method of payment. Then write another table—a larger one—so as to be able to list down the services the customer wants from your business. Indicate the type of service, the materials used, and the amount of each service. Afterward, tally up or total the entire cost for the entire transaction and have the customer agree to pay the full amount based on the method of payment agreed upon. Bill format for painting services is actually similar to the bill format of a plumbing invoice, in the sense that their format is almost similar—they both require the creation of an invoice before they can begin making a bill. Then when the invoice is complete they will move on to the next step, which is recording information, then followed by indicating the terms and agreements of payment. 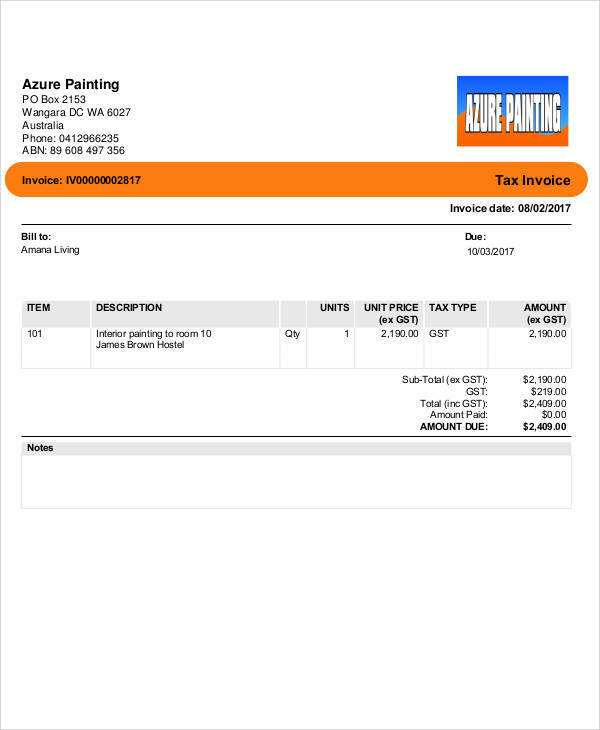 Knowing the format of the bill for painting, we can now know the method of making an invoice. 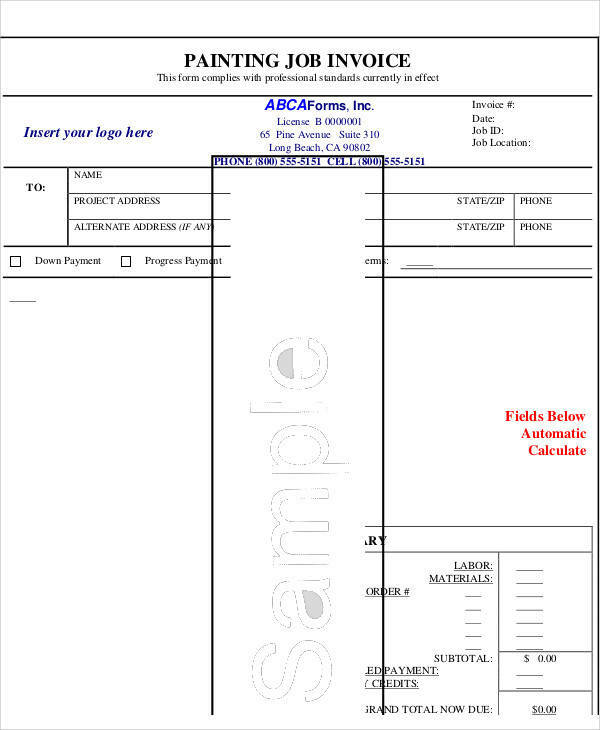 As the format says, we begin with the completion of the invoice, with it being filled with all the necessary information for the transaction to take place (information being the identification of the customer, contacts, address, cost, and method of payment), then making copies of the invoice must be done so as to record the transaction. An auto repair invoice is another example of an invoice that has a similar function and requirements as that of a painting invoice. 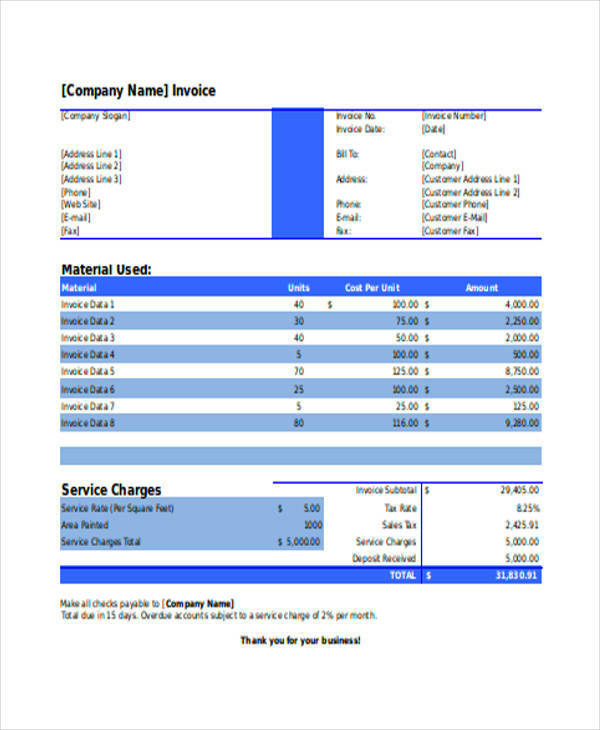 Should you be in the business of repairing vehicles, you will need this kind of invoice for your customers.